Fr. Thomas G. Weinandy, O.F.M., Cap., is a highly regarded and accomplished American theologian who was, for nine years, Executive Director of the U.S. Bishops’ Committee on Doctrine and is a current member of the Vatican’s International Theological Commission. His fields of academic specialty include Christology, Trinitarian theology, soteriology, and philosophical notions of God. He has taught at several American universities and for twelve years at the University of Oxford where he was Warden (Head) of Capuchin-run Greyfriars Hall. 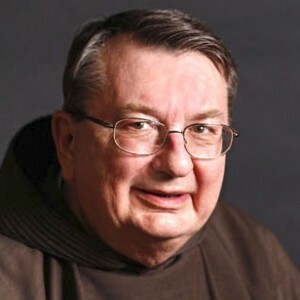 The author of several books and numerous articles for both academic and popular publications, he is the current President of the Academy of Catholic Theology, and a member of the Catholic Theological Society of America, the Fellowship of Catholic Scholars, the Catholic Theological Society of Great Britain, the North American Patristics Society, and the Association Internationale D’Etudes Patristiques. His most recent book is Jesus Becoming Jesus: A Theological Interpretation of the Synoptic Gospels (Catholic University of American Press, 2018), which offers an ambitious and detailed theological interpretation of the Gospels of Matthew, Mark and Luke. Fr. Weinandy recently corresponded with Carl E. Olson, Editor of CWR, about his new book. CWR: Let’s begin with the title: is it a reference in some way to recent books such as Bart Ehrman’s How Jesus Became God? More positively, in what way does “Jesus become Jesus”? Fr. Weinandy: The title of my book is very important, but has no reference to any other book. In entitling my book Jesus Becoming Jesus, I wanted to emphasize three theological points that persist throughout the entire volume. Second, the Father wanted the child named “Jesus” precisely because it defines who the son of Mary is. In having Mary and Joseph call his name “Jesus,” the Father is revealing that he is YHWH-Saves for that is what the name “Jesus” means. When Jesus was born and named, he was YHWH-Saves for that is who he is. Third, however, Jesus was only the Savior in potency for he had yet to become the actual Savior – he had not yet performed those acts by which humankind is saved. When he was conceived and born these saving acts were still in the future. Thus, Jesus had to enact his name – he had to become truly Jesus, YHWH-Saves, not simply in name but in actuality. This is why, in my book, I emphasize and highlight the actions of Jesus for it is through and in all that he does that he truly becomes more and more Jesus. Moreover, within the Gospels, the more Jesus becomes Jesus the more he not only reveals himself as the Savior, but also manifests more clearly that he is YHWH, that is, truly God (YHWH) as the Father’s eternal Son. CWR: The central overarching theme, you say in the Preface, is that “Jesus (YHWH-Saves) through his saving acts has become Jesus (YHWH-Saves).” That is, Jesus enacts his name. Can you give a couple of examples of this? Fr. Weinandy: While the entire book is filled with examples because Jesus throughout his saving ministry continually and progressively enacts his name, I can give a few examples here. His miracles are very clear examples of Jesus becoming YHWH-Saves. Jesus heals the sick, casts out demons, raises the dead, multiplies the loaves and fish, stills the storm – all are examples of Jesus overcoming evil, saving from evil, and providing a new and abundant life, and so becoming Jesus. Even when he teaches, such as in the Beatitudes, he is becoming Jesus not only as the Savior who teaches salvific truth, but also in that he is himself the one who enacts the Beatitudes. In becoming man, he is the one who is truly poor in spirit and so he will be the first to inherit the Kingdom of Heaven. In all of his saving acts he is enacting mercy and so he will receive mercy from his heavenly Father. He is the one who hungers for righteousness, the holiness of God’s people, and so he will be satisfied in his resurrection. By coming to embody all of the Beatitudes, Jesus is becoming Jesus and so reaping all of the blessings that the Beatitudes promise. In instituting the Eucharist at the Last Supper, Jesus prophetically manifests most fully his becoming Jesus. He is the one who will give up his body for the salvation of the world. He will pour out his blood for the redemption of many. The Eucharist is then the ever present act, the sacrament, whereby Jesus continually saves us throughout the ages, for he is ever giving us his risen body and blood, the body that was broken and the blood that was shed, for the forgiveness of our sins so that we can have eternal life in, with and through him. Of course, the definitive salvific acts wherein Jesus becomes Jesus are his death and resurrection. On the cross he lovingly offers his life to the Father, in the Holy Spirit, out of love for us so that our sins can be forgiven. Because his sacrifice was efficacious, that is, he obtained the forgiveness of our sins; the Father raised him gloriously from the dead by the power of the Holy Spirit. Now Jesus is Jesus – the risen Son of the Father in glory. As the Father’s risen Son, Jesus is empowered to perform his consummate saving act – that of pouring out his Holy Spirit upon the Church and upon all those who believe in his name, Jesus, and so are baptized in the Holy Spirit. In baptizing us in his Spirit, Jesus unites us to himself and so, in the Spirit, we are transformed into his filial likeness and so become children of his Father. However, Jesus will not become fully Jesus until he comes again in glory at the end of time. Then all of the faithful will bodily rise in glory with Jesus and so share fully in his own resurrection – the fullness of his salvation. Only then, when we are fully saved will Jesus be fully Jesus – YHWH-Saves. This is why, Jesus himself and all of the Saints, long for his coming and why we too should anxiously await his return, for only then will Jesus become perfectly Jesus and we will become perfectly sons and daughters of his Father for all, in Christ, will share fully in the Holy Spirit – the Spirit of life and love. Obviously, more could be said, but that is why the book is rather large! Nonetheless, I hope I have given some enticing examples that will attract others to read and study the entire book. CWR: You state, at the very start, that this is not a book you intended to write, and you also note that you are not, “in the academic sense, a Scripture scholar.” With that in mind, what inspired the book? What need or “hole” do you think it addresses or fills? Fr. Weinandy: That is correct. I did not intend to write this book. I am a systematic or doctrinal theologian. My doctorate is in Historical Theology – which means I have specialized in the Fathers of the Church, Thomas Aquinas and medieval theology, and contemporary theological issue, particularly Christology, Trinitarian theology and Soteriology. I am not, then, a Scripture Scholar. A good theologian friend of mine suggested many years ago (decades) that I write a one volume Systematic Theology – meaning that I write book that examines the major doctrines of the Church – creation, God, Trinity, Incarnation, salvation, church, sacraments, etc. For various reasons, that suggestion was put on hold for many years. When I had a sabbatical in 2013, I decided I would take up my friend’s suggestion. My plan was to take up the various mysteries of the faith as I just outlined. I would do so by giving a reverent bow to Scripture and jump into the Fathers of the Church, Aquinas and the contemporary theological scene. 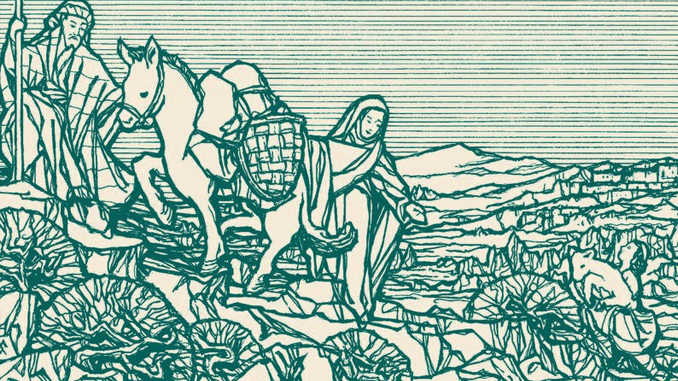 I began by writing on the Incarnation, and so I thought I should say a few words about the Infancy Narratives in Matthew and Luke and the Prologue in John’s Gospel. Well, after six weeks of writing I was still on Luke with much more to say and had not even looked at Matthew. I thought to myself, “What has happened to my one volume Sytematics?” I remember going outside and saying: “Lord, I do not know what I should do? What should I do?” The words that came immediately to mind were: “Just stick with the scriptures.” So that is what I did – I stayed solely with the scriptures. That is how this book came to be. It took on a life of its own. I knew I could not write a book on Matthew, Mark and Luke as a Scripture Scholar because I was not one, and more importantly I did not want to become one. I would write this book as a “theological interpretation of the Synoptic Gospels.” That gave me a great deal of freedom. I could take the Bible as it has come down to us – as inspired by the Holy Spirit. I did not have to go into all the questions scripture scholars get into – all of the various kinds of criticisms, nor did I have concern myself with the historical critical method, nor did I have to read tons of secondary literature. I, obviously, had read many scripture commentaries over my many years as a theologian, and I did have to take into account, to some extent, what scripture scholars have proposed, but I had the freedom to write as who I am – an historical dogmatic theologian. Because of this, I think my book is unique and I hope refreshing when it comes to examining the Gospels theologically. At least I found it more fun in writing it than I had sometimes in reading other commentaries. This leads me to another unique aspect of my book. I theologically examined Matthew, Mark and Luke together. Normally, scripture commentaries deal with one book of the Bible – a commentary on Genesis, or Mark or Romans. Since Matthew, Mark and Luke are synoptic, that is, they have parallel accounts of the same events, I look at all of the accounts simultaneously. For example, I examine all of their accounts of Jesus’ baptism by John together, or their individual narratives of Peter’s profession of faith and the Transfiguration. Or, I studied together their accounts of Jesus’ triumphal entry into Jerusalem. I did the same with their various Passion and Resurrection narratives. I found this theologically exciting. Not only was it fascinating to see how similar they were, but even more so how each had distinctive variations and all of these distinct differences were of theological significance. Moreover, at the end I was able to pull together the similarities and differences into one comprehensive theological whole that provided a fuller understanding of Jesus and his work of salvation – a more complete expression of Jesus becoming Jesus. It took a great deal of work and thought to do this, but it was a marvelous theological and, even spiritual, experience. As to the hole that my book might fill, I think my weaving together of scripture and theology is helpful. Since Vatican II, and even before, it has often been lamented that Scripture Scholars do scripture and theologians do theology and never do these two meet. This is very unfortunate, but the answer to this concern takes me on to your next question. CWR: In what ways does Dei Verbum inform this work? And how have you sought to emphasize and explore the hermeneutical inter-relationship between Sacred Scripture and Sacred Tradition? Fr. Weinandy: Dei Verbum very much informs my work. I was consciously aware of what it stated throughout the writing of my book. Sacred theology relies on the written Word of God, taken together with sacred Tradition, as on a permanent foundation. By this Word it is firmly strengthened and constantly rejuvenated, as it searches out, under the light of the faith, the full truth stored up in the mystery of Christ. Therefore, the ‘study of the sacred page’ should be the very soul of sacred theology (DV 24). To do theology properly one must be imbued with scripture. We see this very readily in the Fathers of the Church, such as Athanasius, Cyril of Alexandria and Augustine, and in the medieval theologians such as Thomas Aquinas and Bonaventure. Moreover, Scripture must be read and understood within the Christian and Catholic Tradition, for it was the apostolic preaching that gave rise to the New Testament and its understanding of the Old Testament. Thus, scripture gave birth to Christian and Catholic Doctrine – such as in the Council of Nicaea (325 AD), that professes that Jesus as the Father’s Son was begotten and not made, consubstantial with the Father; or the 1st Council of Constantinople (381 AD) which proclaimed that the Holy Spirit is the Lord the Giver of life and who proceeds from the Father; or the Council of Chalcedon (451 AD) which declared that Jesus was one and same person of the Son who existed as God and as man. All of these creedal declarations flowed from and gave authoritative interpretation to the Biblical proclamation. In this light, these doctrinal truths, having emerged from the apostolic Scripture, become, in turn, the interpretive tools by which a fuller understanding of Scripture can be achieved. In my book I have attempted to imbue the sacred mysteries of our faith with scripture, and simultaneously endeavoring to penetrate the scriptural accounts of these sacred mysteries through their later doctrinal expression. There is here an interpretative circle. Scripture gives rise to doctrine and doctrine gives rise to a deeper encounter with scripture. It is a marvelously fruitful inter-relationship – one that cannot be ignored. 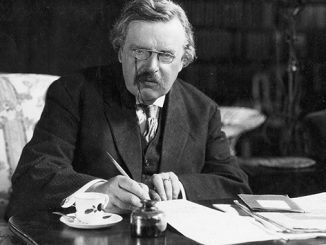 CWR: You’ve written other works of Christology as well as works on the Trinity. How does the reality of the Trinity inform and guide your study of Christ’s Incarnation, public ministry, Passion, and Resurrection? 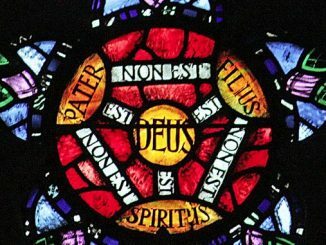 How intent were you on emphasizing both the communion found in the Trinity, as well as the shared “act” of their work? Fr. Weinandy: Yes, I have spent most of my academic life pondering and writing on the Trinity, the Incarnation and the salvation that flows from these central mysteries of our faith. Although my book is primarily about Jesus, as the Father’s Son, becoming Jesus, it is equally about his Father and the Holy Spirit. The persons of the Trinity never act apart from one another, but they always act in unison. We see this at the very onset of Jesus’ ministry, the taking up of his saving work, when he is baptized by John. Jesus is the one who is baptized in the Holy Spirit while his Father proclaims that he is his beloved Son in whom he is well pleased. Jesus is empowered to become Jesus, to enact the deeds of salvation, through the Holy Spirit that dwells within him. Moreover, his Father is well pleased because Jesus will be the obedient Servant-Son who will always do his Father’s will – even when he is tempted not to, such as in his agony in the garden. Thus, all of Jesus’ saving works are not only his, but also the Father’s and the Holy Spirit’s. I stress in my book that as we see the Father’s Son Jesus becoming more and more Jesus (Son-YHWH-Saves) through his saving acts, culminating in his death and resurrection, the more we see the Father becoming Father-YHWH-Saves and the Spirit becoming Spirit-YHWH-Saves. Through the saving acts of the man Jesus, we behold the entire Trinity, the one God YHWH, saving us – all simultaneously acting together, yet each in their own distinct personal manner. As I noted a number of times throughout the book: To know properly who the man Jesus is is to know the Father, the Son and the Holy Spirit. Or, in accordance with Peter’s profession of faith: Jesus is the Christ, the Son of the living God. It is so beautifully amazing. CWR: As you wrote the book, what new things did you learn? Did you change or revise previous understandings a particular action or saying? Fr. Weinandy: The simple answer to this question is that more than 75% of this book contains new things that I have learned. Yes, I had some ideas about all the topics covered, but in pondering anew, in paying close attention to each word, in perceiving the logical inter-connection between sentences, in grasping the revelational flow of the different events, I learned a great deal. Sometimes I just had to stop and marvel at the insights that came to me. It was an incredible experience – at least for me. I hope they were all of the Spirit. So, I did not so much revise any previous understanding, though there were a few occasions when that occurred, as much expanding my understanding in ways I never imagined. CWR: Who do you think will benefit from this book? How might it be used by individuals and groups? Fr. Weinandy: I would like to think that most Christians, and especially Catholics, would benefit from reading this book. While it is a rather large book that is theological in nature, I ardently tried, as I always do, to write clearly and simply. I figure if I can understand what I say, so can everyone else. I think then that it could be used in undergraduate and graduate courses – both in scriptures courses and in strictly theological courses. I think it would be very helpful to seminarians not only for their academic knowledge, but also for their future peaching since I combine Scripture and doctrinal theology. One rarely hears a sermon that speaks about the mysteries of the faith, which I think the faithful would find helpful. (As an aside, I am tired of hearing moralistic homilies that ultimately just tell me that I must be a nice guy.) Then, too, it could be used for Bible Study groups and adult education. So I think it can appeal to a large audience. The first printing of 600 copies has already sold out and it is in its second printing – so that is a very good sign that word is getting out that it is a book worth buying – at a good price I might add! Fr. Weinandy: I have two final thoughts. First, I am presently working on volume two of Jesus Becoming Jesus. This will be a theological interpretation of the Gospel of John. I hope to complete it in the next year and a half to two years. This is proving to be an even more challenging theological undertaking than that of Matthew, Mark and Luke. I hope that I am up to it, but I am enjoying it even though it is a very difficult task. A great mind. A great man. Thank you, Jesus! I like Fr Weinandy very much because of his faith and courage standing up for the truth. I dislike the notion of “Becoming”. Jesus the Divine Word is inherently salvific by nature as Jeshua means. The mystery of Incarnation of the Word ordained from all eternity transcends time. The Word preexisted time and incarnation although the second Person of the Trinity must be understood in a sense that transcends that chronology because the mystery of the Trinity is eternal. Man understands within the limits of his intellect the Truth that is God which Truth transcends our thought. Yes Fr Weinandy is correct that Jesus had to arrive at a time and place to effect our salvation in human time. That salvation in the divine intellect does not occur in time. The beauty of this is that God always loved us, the elect before our birth and because of that love brought about our union with him and our eternal happiness. Fr. Peter Morello, I agree with you. I, too, am a bit uncomfortable with the word “becoming” in the title of Fr. Wienandy’s book, as if Our Lord being Jesus is a work in progress. Was He not already Jesus in His pre-Incarnation period? When I was very young I came upon a book called, “The Passion of the Infant Christ” by Carryl Houselander. I had to laugh at the concept of an infant, no matter divine, having a passion. As you point out, Our Savior’s salvific work transcends time and space. He may have suffered and died, and He did, at a particular time and space, but the price of His Blood is as current and efficacious to the pious people of the Old Testament as it is to us in our time. Marietta you are correct and to the point on the transcendent nature of Jesus, Jeshua, the Savior. All who were saved prior to the Incarnation inclusive of Abraham Sarah Moses David Judith all the prophets and holy martyrs were the fruit of the salvific act by Christ on Golgotha. Today we celebrate the Feast Of Cyril of Alexandria a giant of the faith and doctor of the Church who is responsible for Mary’s title Theotokos Mother of God. 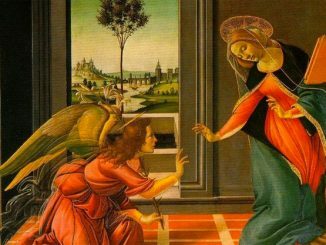 Mary though prefigured from all eternity to be a corollary to the Trinity attained all her grace inclusive of her Immaculate Conception from Christ’s saving act on the Cross. You’re insight is excellent. I am very grateful for these comments because I too had problems with Fr W’s thesis. Salvation is fully at hand; Jesus is received in the Eucharist-body blood, soul and divinity. The second coming will be in judgement. This is the time of love and compassion. These are the things I have beeen taught. Jesus did not have to even become man to save us. He did so because of love. St Catherine of Siena tell us nails couldn’t have kept Christ on the cross. Only love kept him there. Now with Fr. W I have a time-dictated version of Christ. Was I mistaken all these years? But the Son, the Second Person of the Trinity, does not become Jesus until the Virgin Mary conceives by the power of the Holy Spirit. Put another way, Jesus doesn’t exist until God becomes man. Put simply, Fr. 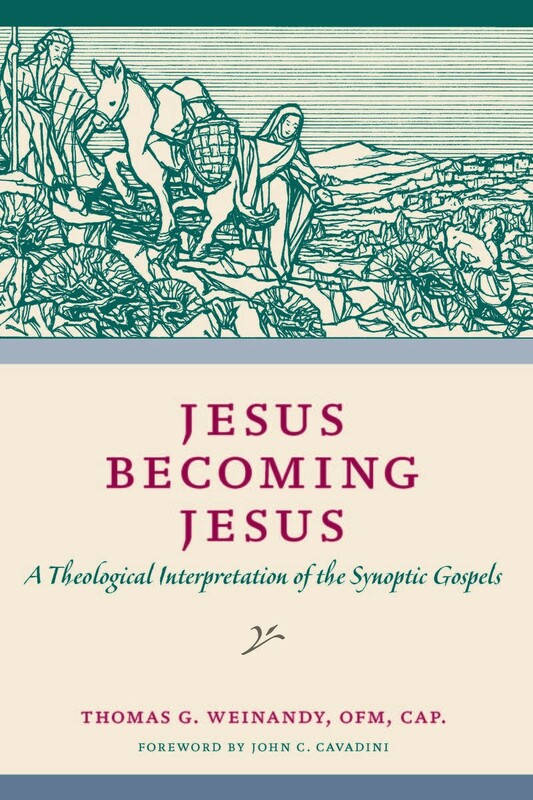 Weinandy’s book stresses this “becoming” or “acting” on the the part of the Trinity, especially in the Incarnation and various saving acts of Jesus. To me, one of the great strengths of the book is showing how God works within history to share His divine life with those who have faith in Christ and are filled with the Holy Spirit. I too have great respect and love for Fr Weinandy and his stand for the truth in the face of the Church crisis. But I too am uncomfortable with the word “becoming”. In a very real sense, I think we can say that Jesus, the Word, does not “become” other than what He eternally is. His every word, act and gesture is in perfect conformity with His Nature. When He undertakes the work of our redemption He is not doing anything which He did not ordain from eternity, not doing anything contrary to His will, not “becoming” anything other than what He eternally is. All that unfolds in the realm of Time is perfectly consistent with His Divine Nature and Will. And in this sense, Jesus does not “become”. Perhaps a better word would be “reveals”–Jesus Revealing Jesus–for every turn of event in the Lord’s human existence is a revelation of His saving Love and the progressive unfolding His eternal plan. To supplement what I wrote above, I think that this is a mistaken notion. Jesus is the Savior; He does not “become” Savior. We can see this in the Scriptures, for example, the Angel announces to the shepherds that “unto you is born this day in the city of David a Savior, who is Christ the Lord” (Luke 2:11); when Jesus was still a Baby, the prophet Simeon announced that “my eyes have seen your salvation” (Luke 2:30); when Jesus turned water into wine the Scripture says “This, the first of his signs, Jesus did at Cana in Galilee, and manifested his glory. And his disciples believed in him”—the sense we get is that Jesus saves in the present moment, as later St Paul would say, “Now is the day of salvation” (2Cor 6:2). To the good thief on the cross Jesus would say, “This day you shall be with me in paradise.” And when John sees the cloth-headpiece folded up in the Empty Tomb, the Scripture says that “he believed”—giving a strong implication that salvation is even “now”. And there are many more examples. The sense of Sacred Scripture is that the Lord Jesus is the Savior, in every moment, in time and outside of time, in His life as a whole and in each moment of His life. It seems to me that this is the only way we can make sense of these and many other Scriptures taken as a whole. The paradox is that the Lord’s entire life, death, and resurrection is one complete Act of salvation, while His salvation is available in each and every moment. Jesus does not become Savior; Jesus is the Savior. The categories of “potency and act” do not apply to the Lord’s saving Act. Precisely the Lord’s Teaching, and found in the Divine Public Worship of the Divine Liturgy and Office… just look at the Teaching in the Mass prayers and the Divine Office for the times of Advent and Christmas. There is no potency in Being in Christ Jesus. Of course, one could add that the presence of the Incarnate Word sanctified John the Baptist in his mother’s womb before he was born. Even before Christ was born, He saved John from original sin and sanctified him. Moreover, when Martha said to the Lord, “I know that [Lazarus] will rise again in the resurrection at the last day”, Jesus replied, “I am the resurrection and the life.” (John 11:24,25). Such a sharp contrast between the future and the present is enough to awaken our attention, and Jesus says emphatically, “I am”, not “I will be”. I’m sure an entire theological treatise could be written on this alone. The words “I am” in this context remind us of God’s words to Moses, “I am who am”, and show definitively that the Lord’s action is always in the “now”, in the eternal present. And as the Lord’s Being and Act are one and the same, so then He is Savior, Lord, Light, Life in the eternal present. “Although he was a Son, he learned obedience through what he suffered; and being made perfect he became the source of eternal salvation to all who obey him…” (Heb 5:8-9). Indeed Jesus (1) “became the source of eternal salvation to all who obey him”—because through His Sacred Passion the Lord most perfectly identifies with fallen human nature, offers Himself for our salvation, and simultaneously reaches out to sinners in the most perfect language of Love that they can potentially understand, but (2) Jesus does not “become Jesus”, as such—this seems to have connotations that are not authentic. 1. Even as the uncreated Son of God enters the realm of Time and “becomes” man—that pertains to the form with which He chooses to clothe Himself, not to any change in His Essence. 2. Jesus does not become Saviour in the sense that He is at any given moment inadequate or insufficient to the task of salvation. 3. Though He is clothed in human nature, Jesus does not cease to be God. Though Christ submits to being tempted, scourged, and crucified, yet the Love with which He endures His Sacred Passion still flows from One who eternally “is”—“Before Abraham was, I am.” In this sense, Jesus does not “become”. 4. Even as He lives in the realm of Time, Jesus always stands ready to act (at will) as One who is above Time, as One who eternally “is”—“I am who am”; “I am the resurrection and the life”. Even as Christ lives and dies and rises in the realm of Time, He simultaneously stands above Time, and is able at any given moment to apply the fruits of His redemptive Sacrifice to whomever He chooses, before, during or after His Sacred Passion (as in the life of Abraham, David, Elijah, Mary, John the Baptist, and others). In this sense, Jesus does not “become”. This is beautiful. Thank you, Fr Weinandy and Carl. a miracle. Just a sharing of food that they were hoarding. Jorge’s quotes are such a mystery, aren’t they Jan?